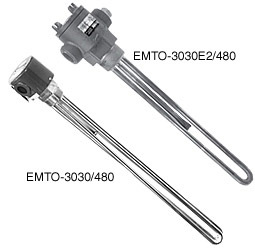 Please Note: This immersion heater should be used with an approved temperature control device to ensure safe operation. See Section P for our selection of process controllers. 참고: Note: Designate voltage: insert “240” for 240 Vac or “480” for 480 Vac. * Heaters with general purpose enclosures are UL listed and CSA certified. ** Heaters with moisture-resistant/explosion-resistant enclosures are CSA NRTL/C certified and are not intended for use in hazardous areas.